A day in the country should be beautiful and comfortable so here is a slightly fitted, drop waist gown that laces up the front. The top is shaped but not boned, giving you fit without sacrificing freedom. 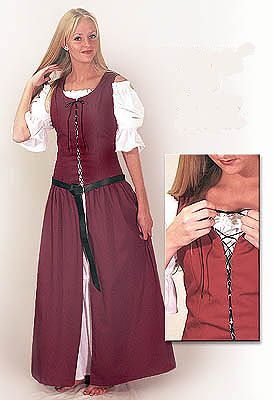 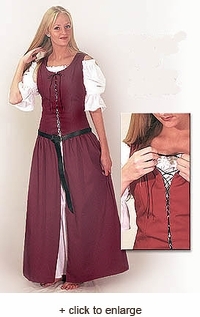 There are no grommets; instead eyelet tape inside the gown holds the lacing in place.